Making your own Biltong can actually be a pretty rewarding experience. 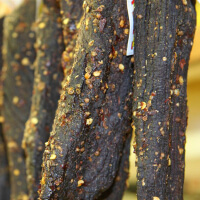 The preparation is therapeutic and the final product worthwhile, despite Biltong’s long drying time. Not to mention bragging rights!